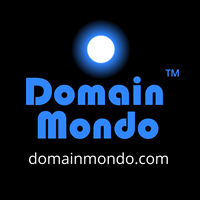 Domain Mondo | domainmondo.com: Technology & Innovation: What's Next in Consumer Startups? Technology & Innovation: What's Next in Consumer Startups? "If you look at consumer adoption curves of major new technologies in the U.S. over the past 100 years, you'll see interesting patterns in both growth and behavior change. Some took longer, some came faster (especially lately, as we reach new heights of software eating the world) -- but one thing is for sure: Technology changes, but people stay the same. "Even if in some cases new technology requires people to learn new behaviors, the underlying motivations behind those behaviors are the same... not just across people and places, but across history and time. So what does this mean for the next wave of consumer startups? "As new tech platforms -- such as video, mapping APIs, mobile AR, and more -- hit scale, a the next big wave of consumer products and startups are coming into the ecosystem. But finding and nurturing these startups requires a special combination of understanding the fundamental platform shift; underlying consumer motivations/needs; and key growth insights that enable them to breakout from the fray. Whether they're old "growth hacks" reinvented for the modern era -- from reviews to coupons to chain letters to viral sharing -- or new behaviors only now possible in an offline-to-online world (note the inversion! ), such as visible offline experiences that drive further growth online -- the more things change, the more they stay the same."